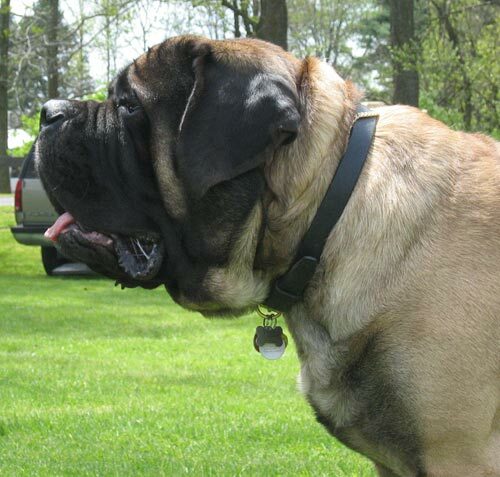 Max was owned by Kim Cooley of Southland Mastiffs. Max was a littermate to our boy Junior and I think that Max was the pick puppy from their litter. You can see how similar they are to each other in the photo here. 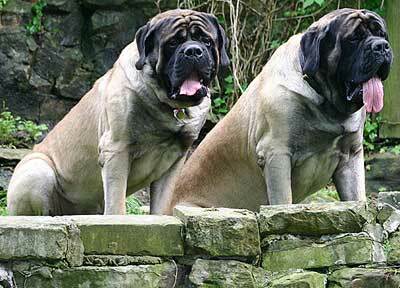 Max is the one on the left. Max had excellent type, structure, size and balance. Max had an absolutely amazing head. You really had to see it in person to get the full effect. For more information regarding Max, contact his owner, Kim Cooley. Click here to see more pictures and video of Max.